You know, there’s real truth behind the saying “fighting like cats and dogs”. It’s because these two animals don’t usually get along. 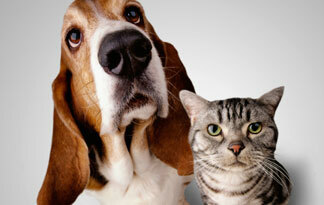 However, there are some things you can do to ensure harmonious living between your cats and dogs. 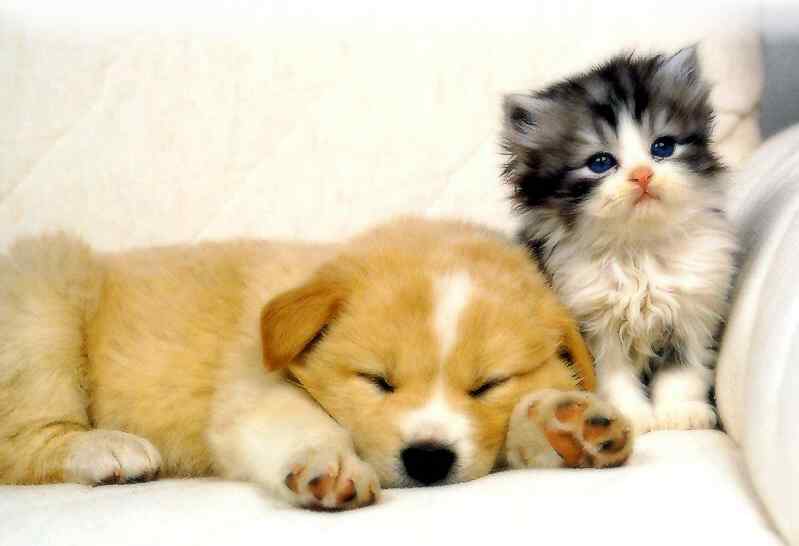 If you have the option, raise your kittens and puppies together. When we moved to a farm, I was 10. Dad brought home a black and white puppy (a border collie) and a black and white kitten. The two were best buds their whole lives. We still tell stories about these two and their antics. When you rase the two together, they learn each other’s body language early on. This enables both the dog and the cat to recognize when they have pushed the other too far. Plus, they really learn to like each other. Almost all cats are predatory. They have a very strong prey drive – that’s why they pounce on anything that moves. Some really sweet cats learn to play without using their claws, but if they haven’t been raised that way, they will use their claws to grab on. It is the act of pulling away that causes claw marks. Some dogs are nurturing, and some are prey driven. We have two Alaskan Malamutes. This breed was developed to hunt for its own food in the harsh environs of Alaska, eating anything that moves. This does not mix well with our Tabby cat. We NEVER leave our Mals alone with the cat, because even though she has her claws, our dogs have demonstrated that they can work as a team, with one distracting while the other goes in for the kill. That’s how they get the opossum and raccoons that wander into our yard. We also have a collie – the kind that looks like Lassie. This is a very nurturing dog, who is protective of his lambs. His lambs are anything in his house and yard, including the cat. The drawback to this is that the collie wants to play chase with the cat, which triggers the prey drive in our Mals. 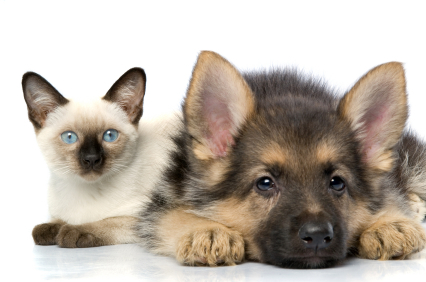 If yours is to be a “blended family” of pets, with rescued animals or pets that belong to your new spouse or stepchildren, you can take precautions to ease the introduction. First of all, try to introduce the animals in a neutral environment. 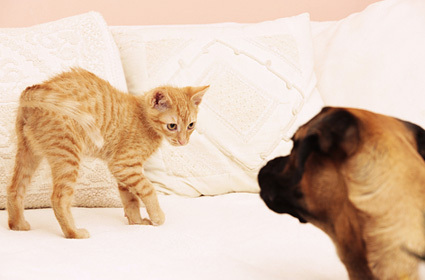 Cats and dogs both can be very territorial, and if you bring a strange animal into your home, the pet that already lives there might react differently than he would in a neutral area. Also, try to introduce the animals at eye level. If there is any aggression or fear, remove both animals for a few minutes and try again. Keep this up until they are bored with the activity, and ignore the other animal. Allowing your cat to “teach the dog a lesson” can result in a blind dog and expensive vet bills. By the same token, you don’t want to end up with a dead cat. Always supervise their interactions. Keeping your garden picturesque can be a lot of work, but the payoff is worth is. Gardeners take hope in the beautiful blooms, healthy shrubbery, and velvet grasses that make up their gardens. And, whether you do all the work yourself or hire some of it done, the reward is a beautiful garden and a healthier planet. Now is the time to winterize your lawn. Most lawn services will winterize it, if you do not know what to do. Basically, you put down a fertilizer that will boost the roots and make them stronger so that they can survive freezes and slow snow melt. You don’t want to mow it down at this stage, because the grass will hold snow in place and allow it to melt, rather than blow away or run off. This is also the time to consider pruning your trees and shrubs. For deciduous trees, wait until the sap has retreated to the roots. This will keep the tree from being weakened. Once the trees have lost their leaves, you can see the branching patterns better. It is easier to identify branches that are rubbing against each other and remove them, and thin out the canopy. Most shrubs that are evergreen do not need pruning. They will have colorful berries this time of year. However, once the berries have all been eaten by neighborhood birds and squirrels, you may want to trim them back to the size you want. 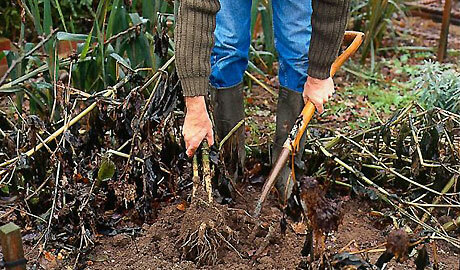 The spring growth spurt will make up for any over-pruning you do. 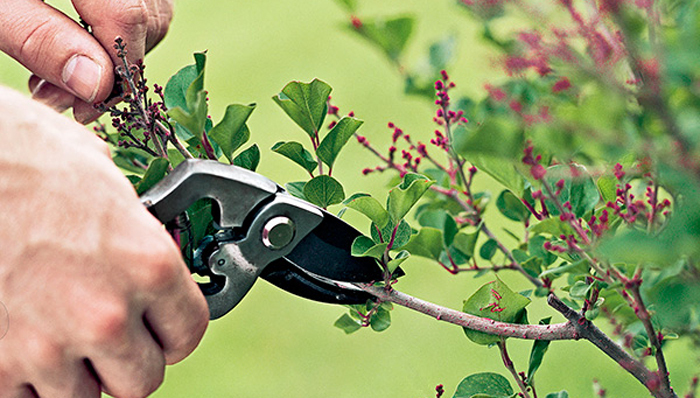 Some shrubs, such as roses, do much better if you trim them back. Find out the specifics for your type of roses. By cutting them back, they will have much more vigorous growth in the spring, with larger, healthier blooms. Now is also the best time to mulch your flower beds and tree bases. Make sure that the mulch does not pile up on the trunks of trees, as this can strangle the tree and rob it of oxygen. Many homeowners rake up the leaves from the lawn and use them as mulch. The problem with this is that, as the leaves decompose, they can leach nutrients from the soil. 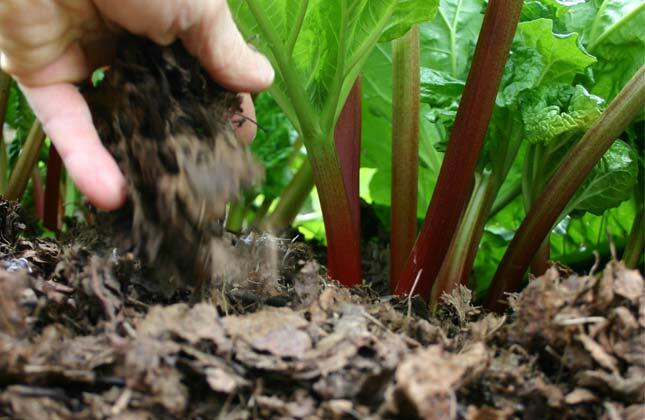 It is better to compost leaves and let them decompose to the point where they begin to put nutrients into the soil, rather than leach them out. Other gardeners prefer commercially processed mulch. The mulch not only protects the roots from all but the coldest of temperatures, it holds in moisture, chokes out weeds, and looks really nice in the winter landscape. The winter landscape can be rather bleak. 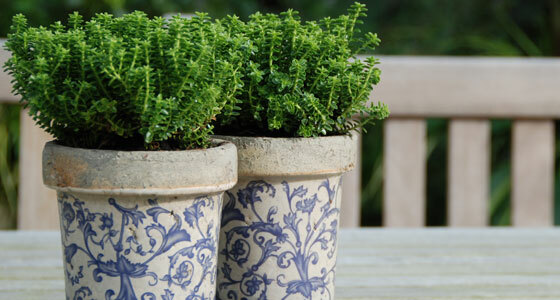 But, you can brighten up the garden with well-placed ceramic plant pots and flower planters with colourful winter plants. Holly bushes covered with red berries, cabbage and kale with pretty blues and greens, Nandina shrubs with their varied colours of foliage and bright crimson berries, and pansies can all add color, motion, and texture to your winter garden. If you don’t know how to care for these plants, contact a landscaper. It is well worth the investment. Now, be honest. Most English speaking people expect to be understood, no matter where they are in the world, right? After all, English is the most common second language spoken on the planet. While most school children in the UK and United States study Spanish, French, German, or Latin as a foreign language in school although they won’t become fluent. Other nations study English However, shouldn’t we at least make the effort to become familiar with the countries we plan to visit? Too many times I see English speaking tourists using translation services without making an effort to understand. Perhaps simply making the effort to learn a few phrases and customs would make our trips more rewarding. And, who know, it might make the trip a little smoother, too. The most obvious problem, at first, for international travellers is the language. Although most educated societies learn English as a second language or, as in India, speak English as a primary language, it is a mistake to assume that everyone you contact will be fluent enough in the language to converse with you. In any country, even English speaking ones, it is simply good manners to try to learn a few basic phrases in the native language. If it does not earn you a place in the native’s heart because you are trying hard, it will at least entertain him for a while. Learn, too, the usual forms of address used in the country you will visit. It is better to err on the side of formality, than accidentally insult an official or inn owner with an informal familiarity normally reserved for family members. In fact, expecting everyone to understand you just because you speak English is like expecting everyone to drive on the same side of the road as you do. It just isn’t going to happen. At least ½ of your communication is non-verbal. It pays to study the customs and gestures of the people who are natives of the country you are about to visit. Something as simple as nodding your head can confuse those to whom you are communicating. In the UK and US, nodding the head indicates agreement, or “yes”. In some countries, nodding the head indicates disagreement or “no”. This can get you in untold trouble, if you are not aware of the difference. Former president Bill Clinton committed a tremendous faux pas in Brazil when he made the “ok” signal with his circled thumb and forefinger. This is a profanity in Brazil, and raised quite a few eyebrows. In some countries, women are expected to walk behind their men, and are not allowed out in public without a man. If you go against these cultural norms, you can incite anger and find yourself unable to even check into a hotel room. Keep in mind that even if you are not prejudiced or sexist, that does not mean that other cultures share the same general acceptance. If you plan international travel, it is just simply good sense to study their customs and social taboos before crossing their borders. There are many different ways that physical activity can relieve stress. Surprisingly, even the most simple of stretches can lower your blood pressure and relieve headaches. Different levels of physical activity can reduce stress, which makes it much easier to cope with on a daily basis. Here are some suggestions that might help. As you work at your desk, in front of your computer, consider doing isometric exercises and stretches. This helps boost your circulation and reduce the chances of developing blood clots. For more strenuous activity, consider a yoga class. Yes, yoga is strenuous, if you do it right, and it improves your sense of balance, as well. In fact, yoga is one of the best stress fighters in the workout repertoire. You can either go “all in” and participate in the meditation and philosophy involved with yoga, or you can simply focus on the exercises, which stretch and tone every – single – muscle – in your body. Believe me, when you are participating in a yoga class, or even yoga in your den at home, stress cannot find a foothold. Yes – dance! Dancing has gained in popularity every year for the last decade. In fact, more people are signing up for dancing lessons and buying dancewear every day. Whether your taste is in pop music, ballroom dancing, hip-hop, jazz, or even ballet, there is a style of dance and music for you. Forty years ago, aerobics was the big thing. It was strenuous exercise set to music, and you had to basically learn dance steps with the music. It was a great workout, but as most exercise programs go, it fell out of fashion. However, one of the reasons aerobics was so popular was that it was a form of dancing, even if it did incorporate things like sit-ups and pushups. Today, dance has been revived as a legitimate free-time activity, and has gained even more popularity due to programs such as “Dancing With the Stars”. After all, if overweight, faded actors and actresses can lose weight and “trip the light fantastic” convincingly, why can’t ordinary people? And, on the show, ordinary people do just that. People who have never danced a step in their lives learn to move gracefully and powerfully, to the envy of the nameless rabble that watch enviously. So, try out dancing. It is artistic, athletic, and beautiful, and works that stress right out of your body. If you are one who likes to “get down and dirty”, then bootcamp may be the direction for you. Yes, you get pushed far beyond what you thought were your limits, just as with any clichéd thoughts about this military style workout. But, those limits, you will find, constantly expand. 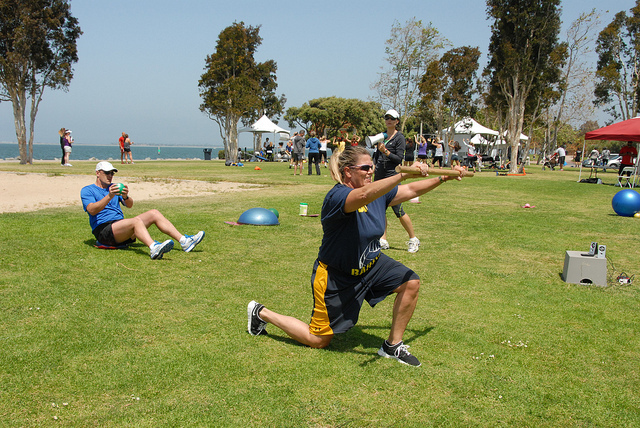 Believe it or not, some of the most dedicated bootcamp members are women in their 30s and 40s! That’s because they have a lot of stress, and what better way to deal with it than to yell, kick, and punch? Physical activity will restore your circulation, strengthen your respiration, and reduce stress. So, work it into your daily routines.